Barefoot Becky & the Ivanhoe Dutchmen playing polka from the Upper Midwest! 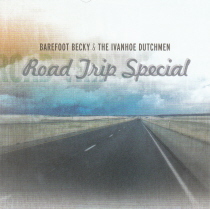 Barefoot Becky and the Ivanhoe Dutchmen have played throughout the USA and more for over two decades. Enjoy some straight ahead Dutchmen style polkas from the Upper Midwest. Check out Road Trip Special!